Some people are so stylish that they can transcend makeup, can pull off every trend, no matter how objectively ugly, with the cool blase of a Mick Jagger muse. As somebody who has been doing her makeup virtually the same way since I was a teenager, I am not one of those people. I like to find products that work for me and stick with them forever. 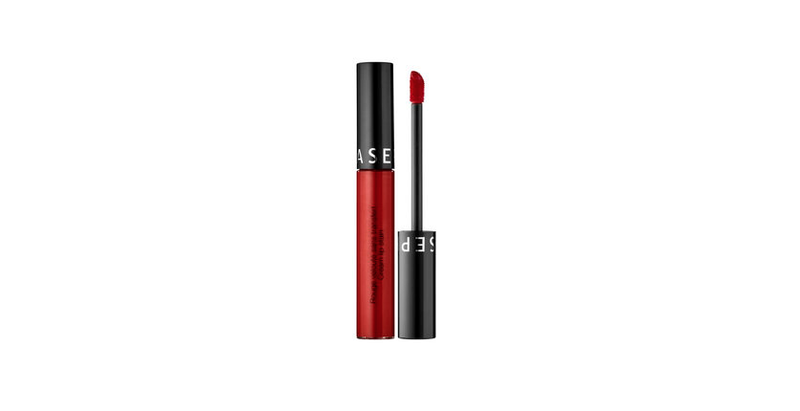 Two years ago, as I toddled like a baby deer through an unfamiliar Los Angeles Sephora, my search for a go-to lipstick landed on Sephora’s Cream Lip Stain in Always Red 01, a classic, bold, bright color neutral enough to go with everything but dramatic enough to be worn to anything. Since then, I’ve worn it almost every day. I will never let it go. Not only is the color perfect on a variety of skin tones—I’m pale, but have seen it pulled off brilliantly by women with tan, olive and darker skin—it stays on through ordeals that would cause most lipwear to surrender. It has lasted me through an entire 3-hour ceremony during which I was taking intermittent swigs of whisky from a plastic flask, workdays followed by appearances on pancake-makeup news TV programs with little-to-no reapplication, Christmas dinner, 100 degree subway platform temperatures, and more. Its dryout is minimal and it’s so comfortable to wear that I sometimes forget I’m wearing anything on my lips. I’ve gone to bed without taking it off, woken up, gone on a run, looked in a mirror, and realized that the lipstick I put on the day before is still on. I get compliments on it all the time. This is a ride or die lipstick, and unless Sephora cruelly discontinues it, I’ll probably wear it for the next 18 years.